NOTICE: Activation key must be used on a valid Steam account, requires internet connection. ABOUT THE SOFTWARE Hunt for the traitor!Board submarine Kursk K-141 and stop a criminal organisation stealing Russian weapon systems! You are agent Belyaeva, a secret agent hunting the criminal mastermind. After an undercover partner goes missing you must find the culprit before Kursk K-141 and the tru… th fall to the bottom of the ocean! KEY FEATURES	Solve unique puzzles, engage with interesting characters, and hunt for clues in your search for the truth! 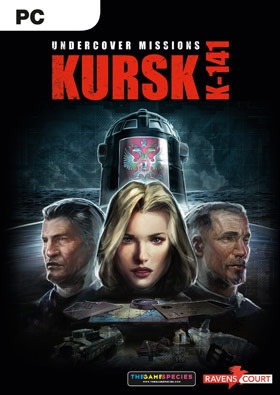 Explore nearly 50 beautiful locations from towns to Kursk K-141’s submarine chambers	Play through 9 thrilling chapters as you hunt for the traitor! 11 mini-game challenges test your skills and wit	Set in Russia and based on a real-life event, explore a beautiful recreation of submarine Kursk K-141SYSTEM REQUIREMENTS	Minimum System Requirements: OS: Windows® Vista™/Windows 7™/Windows 8™ Processor: Pentium® IV 2 GHz Single Core equivalent or higher Memory: 512 MB RAM Graphics: DirectX® 9 compatible Graphics card with at least 128 MB RAM DirectX: Version 9.0c Hard Drive: 750 MB available space Sound Card: DirectX® 9 compatible 16 Bit-Sound Card (optional) Graphics Hardware must support no older than shader model 3.0 to run this game. ©2015 and published by Koch Media GmbH. Ravenscourt is a division of Koch Media GmbH, Gewerbegebiet 1, 6604 Höfen, Austria. All other trademarks, logos and copyrights are property of their respective owners.